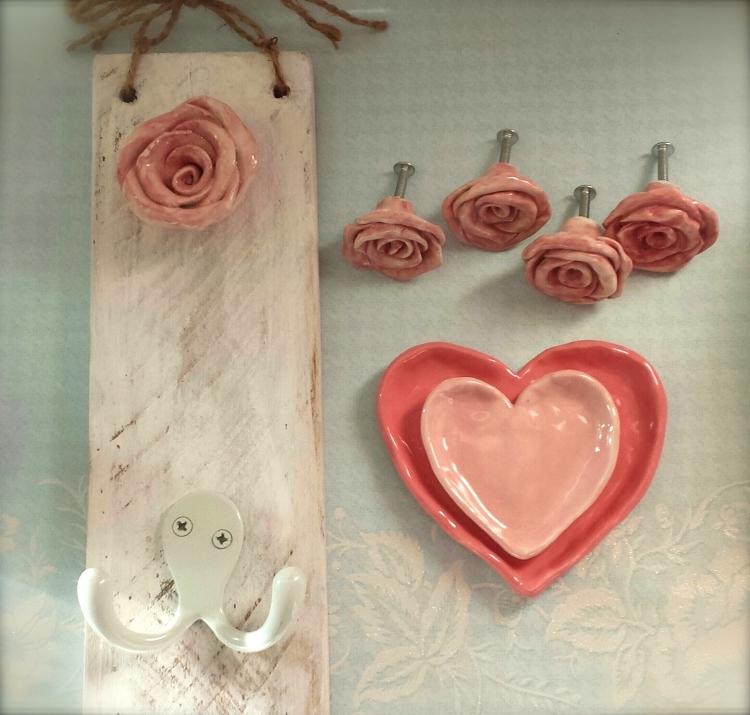 Shabby chic rose home decor set! Valentine special gift set Four rose knobs, rose, 4"x8" towel hanger or for your keys, or anything. Two Heart shaped dishes as shown. surprise gift with every order!